Luke Prokay came into this world at 1 lb.,11 oz. In utero, the placenta had twisted and knotted around his neck, cutting off his oxygen and food supply. He was essentially starving to death. To save him, doctors knew his best chance would be to deliver him early. But they warned Anita and Butch that this meant a much higher chance that their child would be born with disabilities. The couple did not pause to save their son’s life. Luke was born 10 weeks early with cerebral palsy. He wasn’t out of the woods yet - doctors said babies born at 30 weeks gestation had only a 75% survival rate. Anita told us, "We didn't know if he was leaving the hospital with us or not." But there was something in Luke that didn’t show up on medical scans. Although he was small, his spirit was huge. He had a tenacity - an unshakable will to live - that could not be quantified. He fought to make it to his first birthday; when he reached it he weighed just 10 pounds. He fought harder to not get sick with pneumonia in spite of damaged lungs. When he had a feeding tube put in to gain weight he did so well that doctors took it out. He even kept going when he developed a vision impairment that has rendered him legally blind. He did not get discouraged and give up when, at the age of 8, he began to suffer from seizures. Doctors predicted that seizures may be one of Luke’s issues, but they believed that if they were going to start they would do so before the age of 5. Luke’s 5th birthday came and went seizure-free. But three years later, they started. 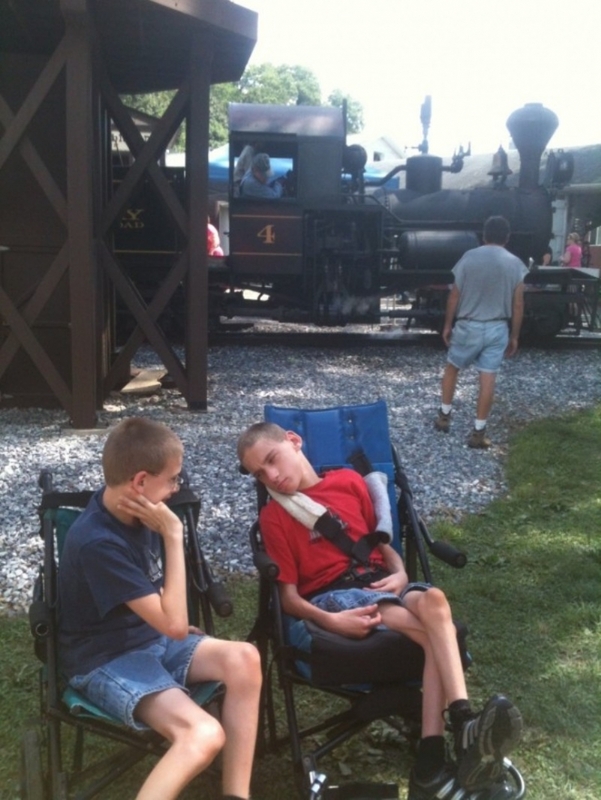 That was when Luke was diagnosed with Lennox-Gastaut syndrome, one of the worst seizure disorders. Despite being on three different medications to control his LGS, Luke still suffers multiple daily seizures. The longest he has ever gone without them is three days. Although the day-to-day routine is challenging, Luke lives a life that is rich with experience. His parents are committed to keeping Luke as engaged and active as possible. He is a hunter and has gone on several trips with his family in Pennsylvania and even a couple in Texas. He loves being outside. 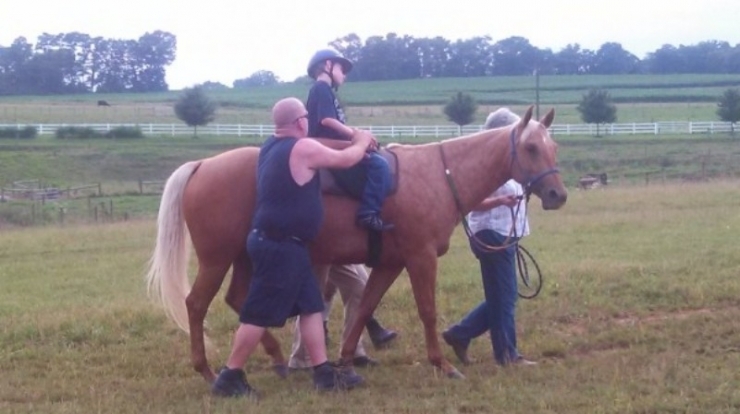 In the spring and summer, he does therapeutic horseback riding. He goes to church weekly and has become an inspiration to many. His favorite thing to do though, is play with his younger brother, Adam. When Luke was two, Anita and Butch found out they were expecting again. They were very excited but cautiously optomistic. Doctors kept a close eye on her pregnancy but there were no abnormalities. After a normal delivery, Adam was born with cerebral palsy too. 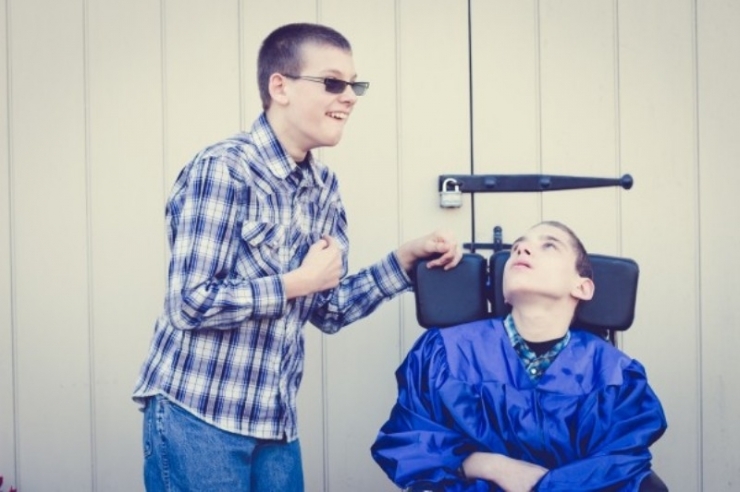 Having two sons with cerebral palsy was not something the couple was mentally or financially prepared for, but they wouldn’t trade their children for anything. 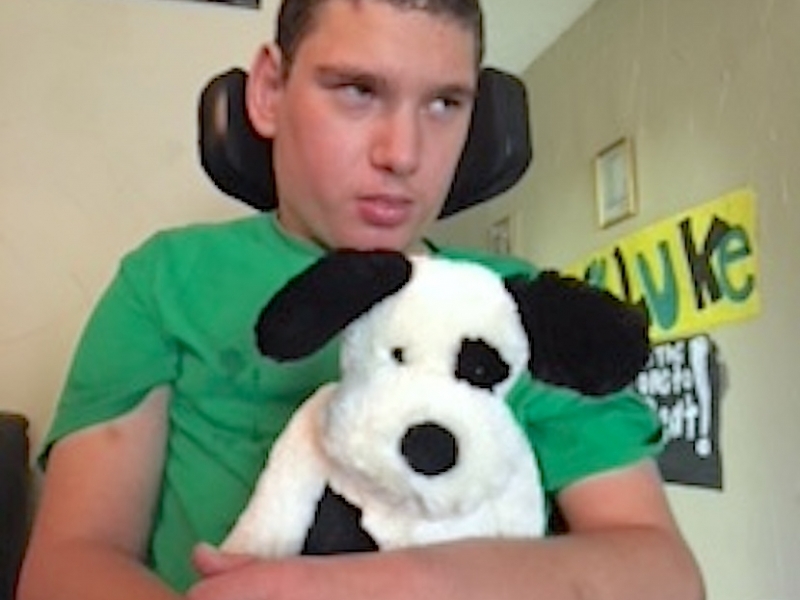 Even though both Adam and Luke are non-verbal, they “speak a language” all their own. They play, fight like brothers, and tease - but at the end of the day Adam is Luke’s protector and best friend. 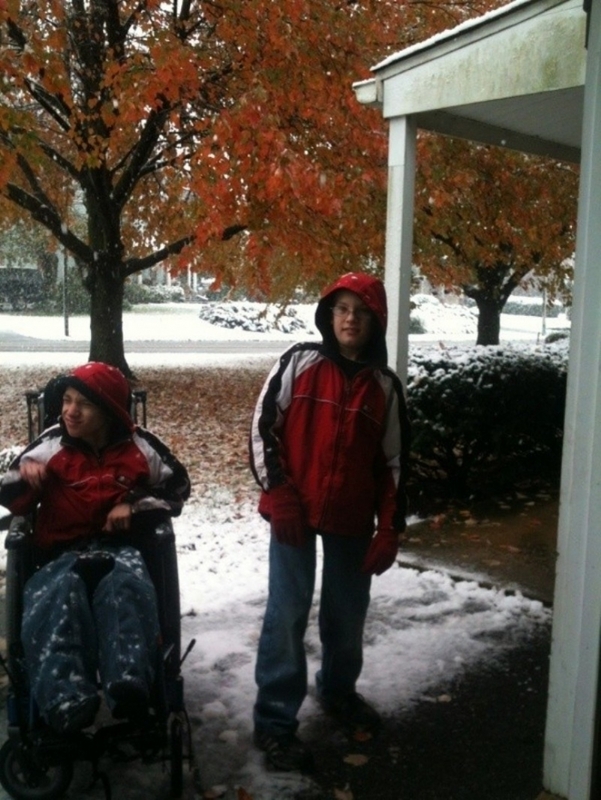 Because of Luke and Adam’s special needs, Anita stays at home with them. When they’re at school they have a nurse but at home, she is the primary care-giver. 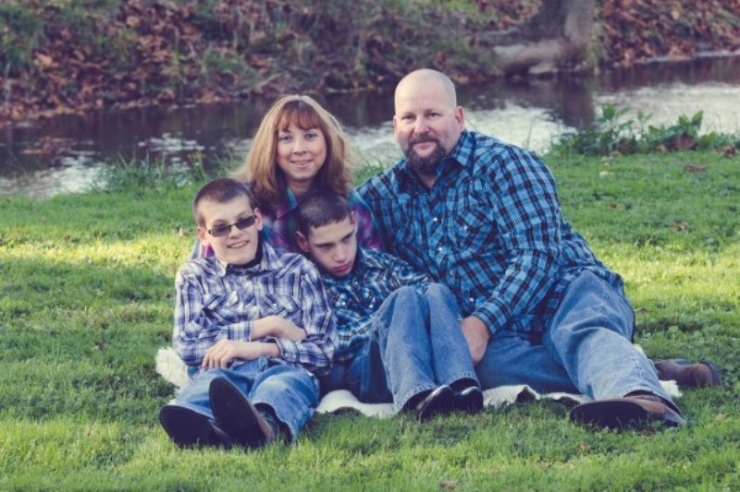 To pay their medical bills dad Butch works long hours and puts in overtime whenever he can. Together, the family is making it work. They were never interested in the bare-minimum, path-of-least-resistance life for their sons. They want them to experience everything. And that’s where Chive Charities comes in. Through a connection where Adam and Luke receive physical therapy, the Prokays heard about Chive Charities for the first time. They knew immediately it was worth a shot to reach out. 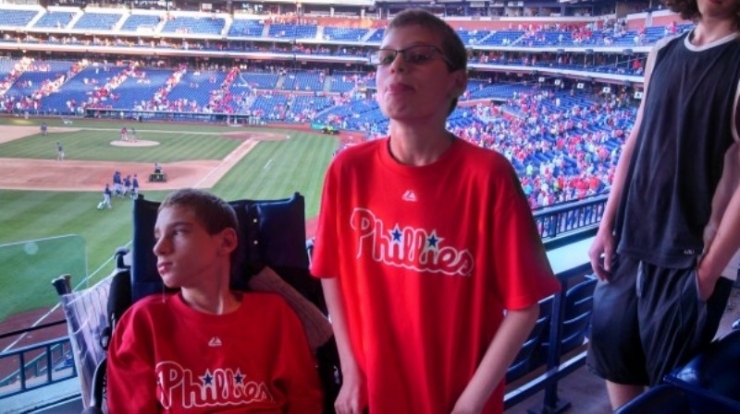 They told us their story of having not one son with Cerebral Palsy but two, about Luke’s seizures, and their refusal to let their sons live a lesser life just because their needs are higher. It was apparent they needed help, and the help for the Prokays would arrive in the form of a new van. They were driving a 1993 clunker that could “get from point A to point B” without falling apart…but not much else. They were hesitant to take longer road trips because safety and reliability were major factors. 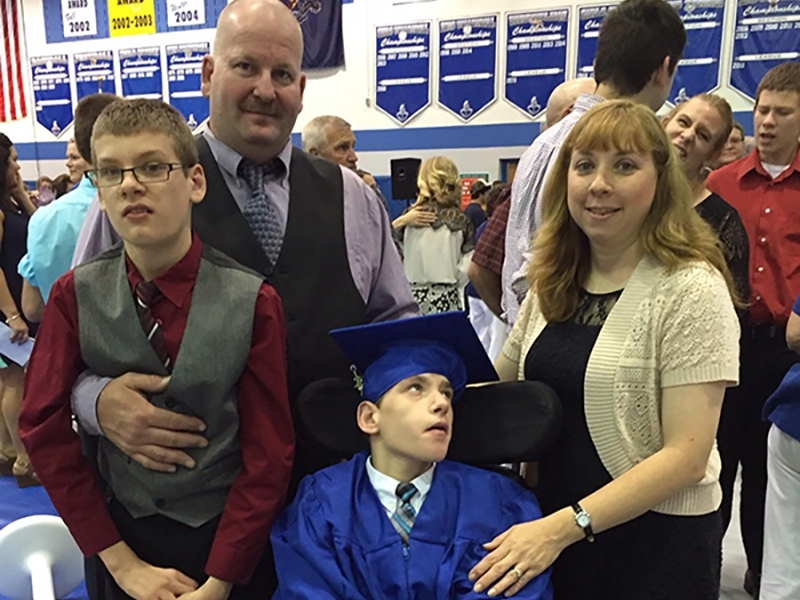 Even if it did bring them to their destination successfully, the van wasn’t handicap accessible so they had to unload Luke’s wheelchair from the back, pick up their 17-year-old son, and carry him to the chair. It didn’t make sense, especially for a family on the move. 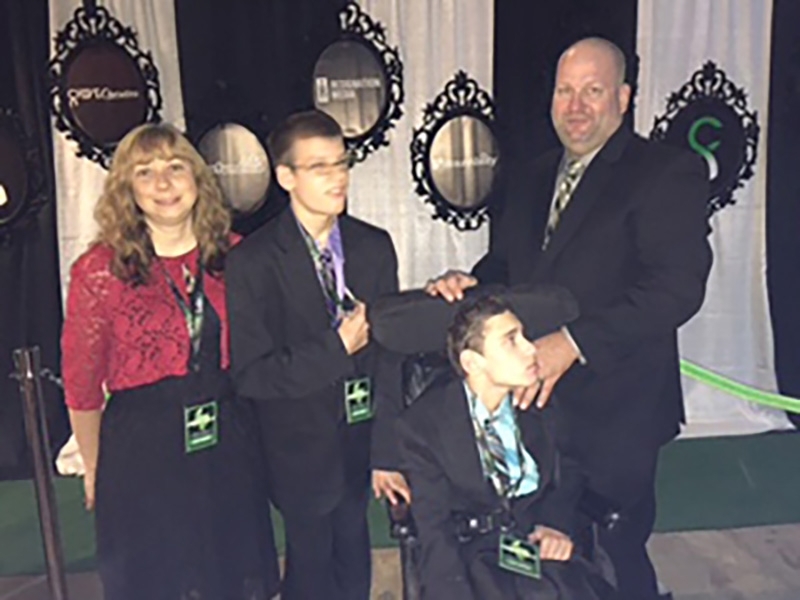 So Chive Charities stepped in with a $56,000 grant that came to the aid of the Prokay family with a handicap accessible 2014 Chrysler Touring with a ramp. At last, the family had a mode of transportation that matched their adventurous lifestyle. Against all odds, Luke survived and got to go home from the hospital with his family. 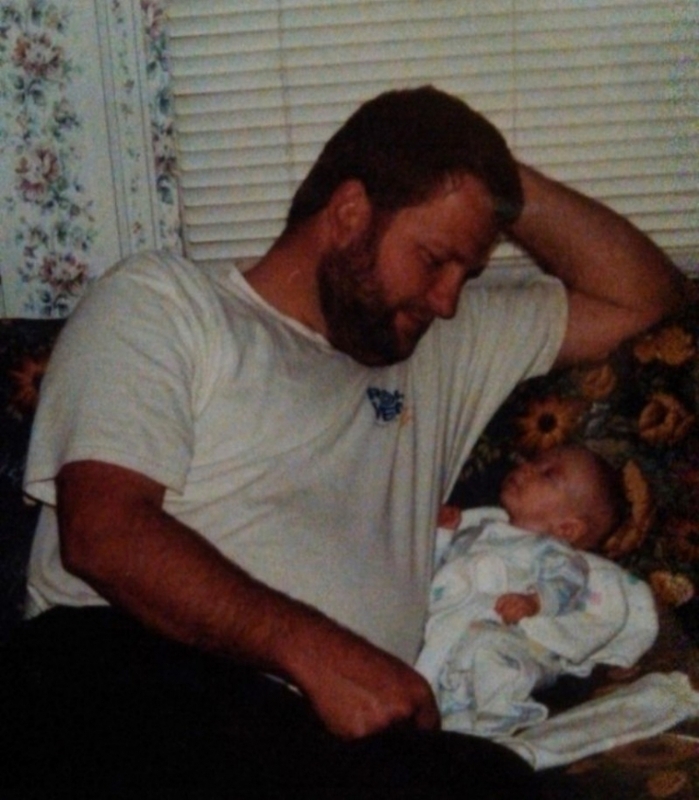 Here's Butch and his newborn son sharing a sweet moment. The Prokay Family: Adam, Anita, Luke, and Butch. Luke rides horses from spring to fall in Pennsylvania. Here dad Butch walks along as Luke enjoys a ride. The therapeutic experience does wonders for his muscle tone and balance. 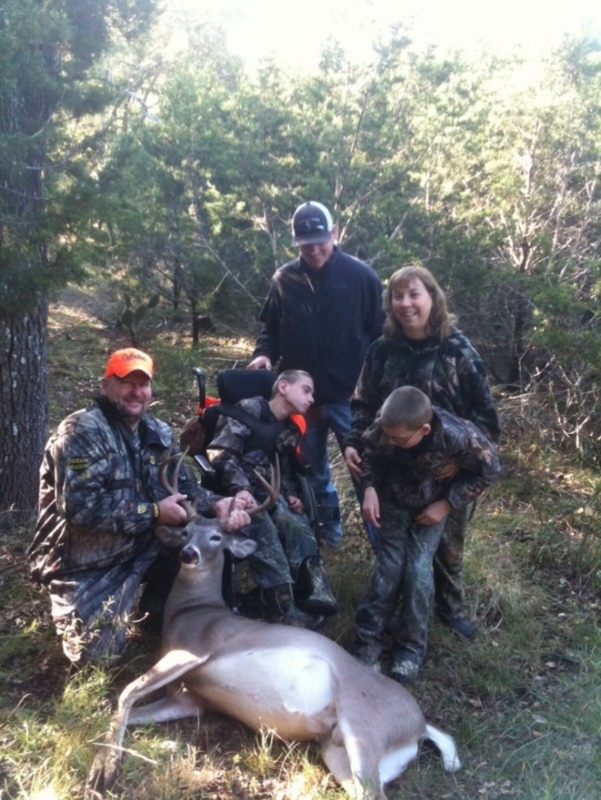 Here's the family harvesting a prize buck on one of their many hunting trips. Luke and Adam don't miss out on any experiences, his parents make sure of that. Here are those brothers communicating in their own unique way. Luke has a very expressive face, and he's able to convey dislikes and other emotions rather easily. He can open his mouth to show he's hungry, and stick his tongue out when he wants something to drink. But not even Anita and Butch can decipher this special, secret language Luke shares with Adam. 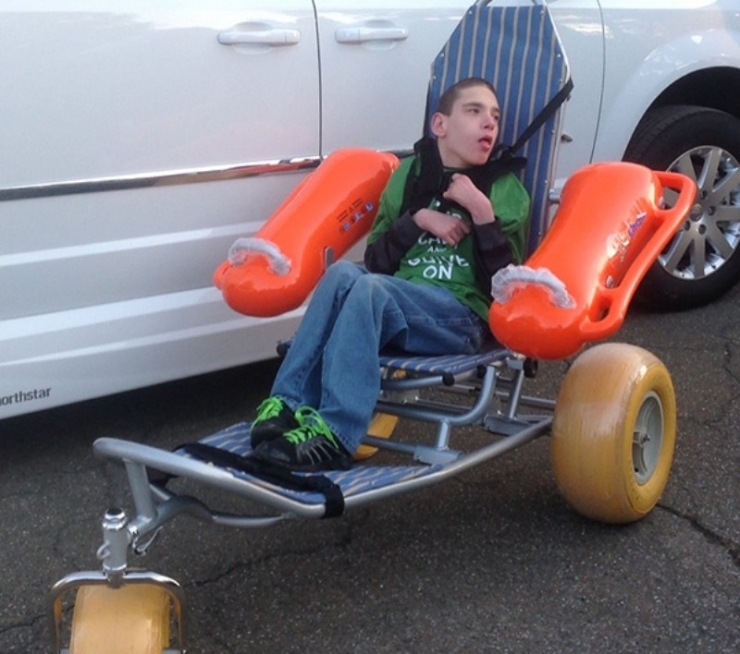 Here is the beach wheelchair Chive Charities purchased for Luke. Anyone that has lived in the Northeast knows that April isn't exactly swimsuit season, but Anita wanted to show us how much Luke loved it. She says the family can't wait for the first warm day so they can all go enjoy it together. Here are the Prokays in front of their brand-new van! Luke's wheelchair is parked on the wheelchair ramp, which will make getting him in and out of the car infinitely easier. For Luke, it has never been about merely scraping by. He doesn’t live his life with limited intention, so we wanted him to have the means to see that dream through. 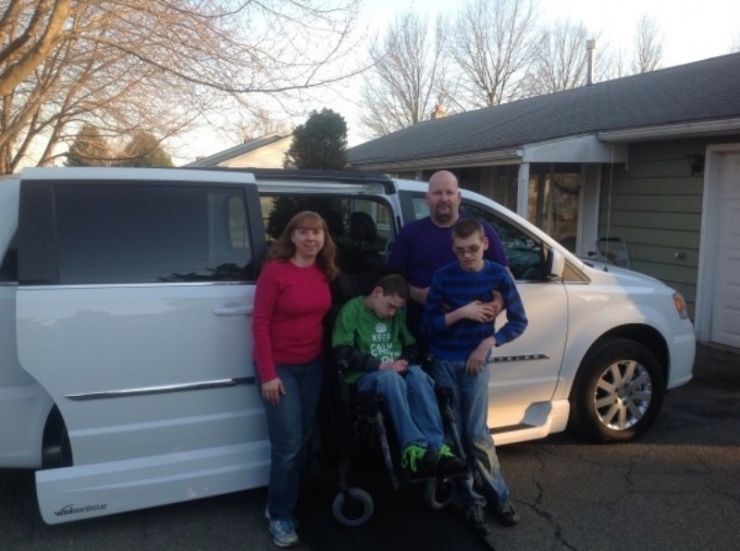 Because of the safe and accessible family van, he will be able to keep feeding his insatiable appetite for life. With the beach wheelchair, he'll gain yet another new experience: feeling the sand between his toes. After he graduates, we don’t know what the future will hold for Luke. What we do know is that the fight within him is stronger than anything that could happen to him. And thanks to your donations, his life just got a little bit easier- and a lot more fun. Chive Charities is able to change lives because of your consistent support. If you want to actively help us build a better future, you can donate HERE.